Seasons clashing is quite a common occurance along the Front Range of Colorado especially during the transition from autumn to winter. 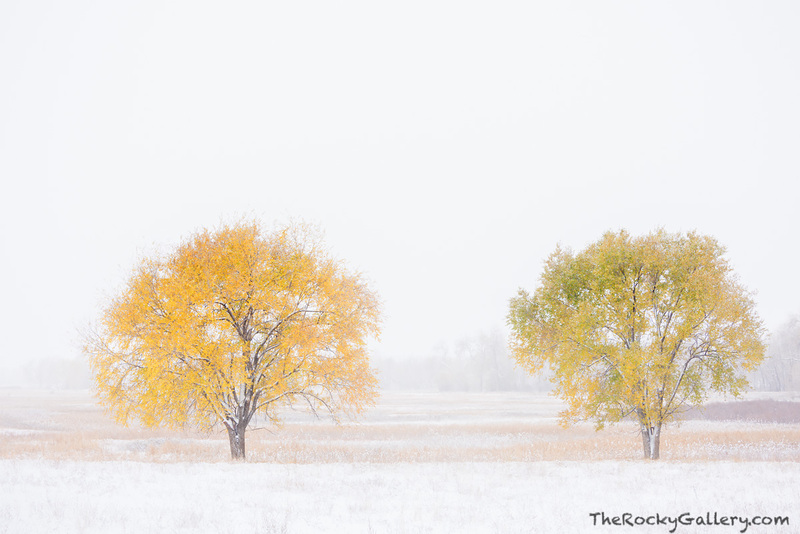 The trees on the Bobolink open space property in Boulder, Colorado are still showing off their autumn splendor while winter has decided to cover the landscape with a fresh covering of snow. Photo © copyright by Thomas Mangan.